You're not alone. Students all across Chicago are working to reach their dreams—often without the support of family or friends. That's where GetSet comes in. 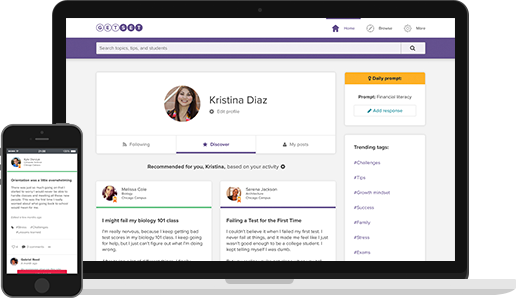 GetSet is a free online community where students share advice and support with one another. Over 30,000 students across the country are already on GetSet. Join the waitlist to bring GetSet to Chicago. By clicking Submit, you agree to GetSet's Terms and Conditions and Privacy Statement.